Forged irons have a reputation for great feel, and Mizuno’s Grain Flow Forged HD process forges the 919 Tour irons from a single piece of 1025E mild carbon while compacting more metal in the bottom of each head. 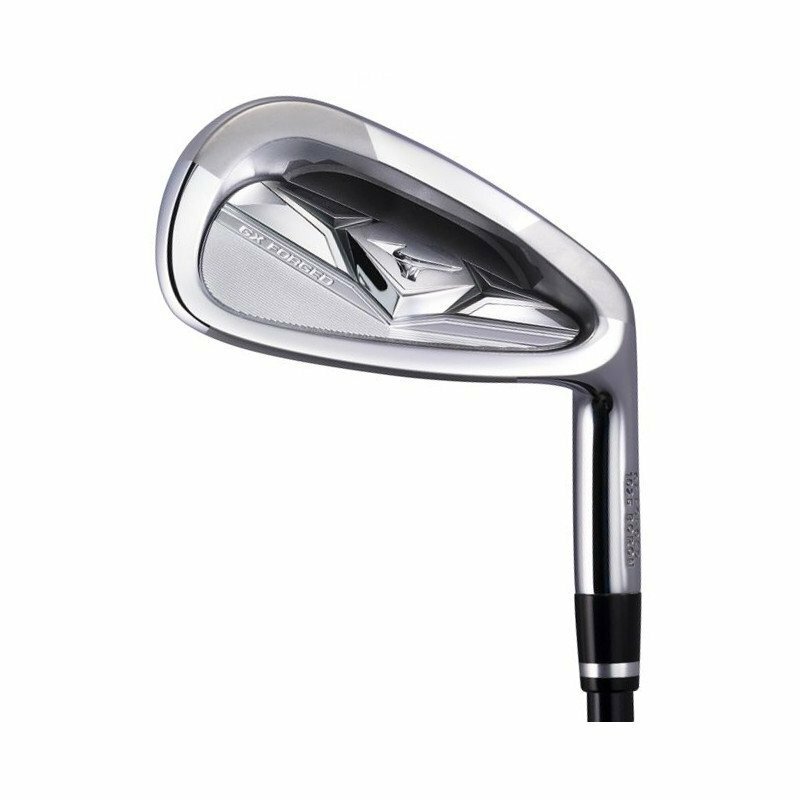 The company said the design prolongs the vibrations created at impact so the 919 Tour irons give better players even more feedback about the strike. 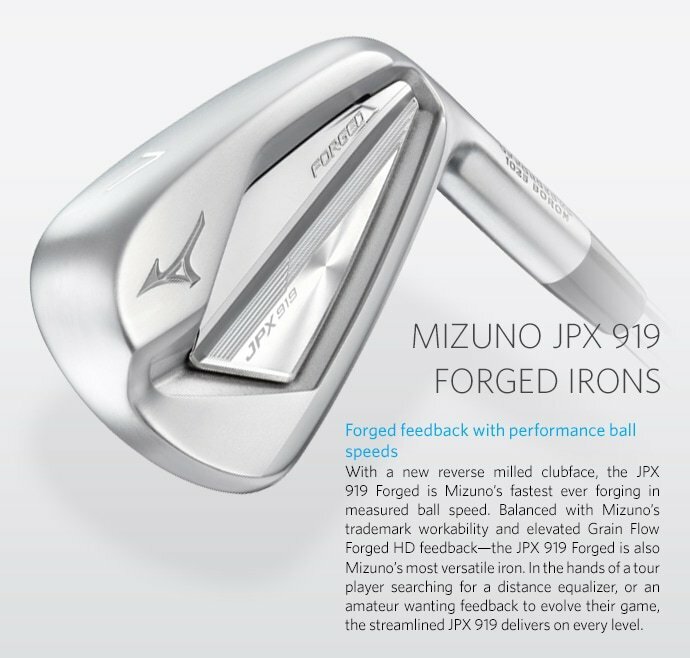 Instead of using a traditional muscleback design, Mizuno gave the JPX 919 Tour a modern cavity-back look. It’s subtle, and the topline is about 10 percent thinner and the sole is slightly thinner as well. The key, however, is that weight has been reduced in the heel and redistributed to the toe. That pulls the center of gravity slightly downward and more into the middle of the hitting zone. As a result, good players should notice that the long irons create a slightly higher launch angle due to the lower center of gravity, and they can work the ball left or right more easily. The JPX 919 Forged has been created to push the boundaries of a forged iron and give you the ultimate blend of precision, distance and forgiveness. 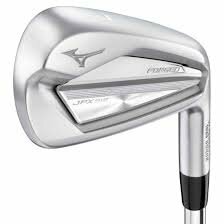 Mizuno have crafted this stunning midsize head from a one-piece Grain Flow forged iron that has been produced from a stronger Boron infused steel billet. A milled pocket in the cavity and a new thinner face increase ball speeds across the entire face to achieve incredible levels of distance and accuracy control. 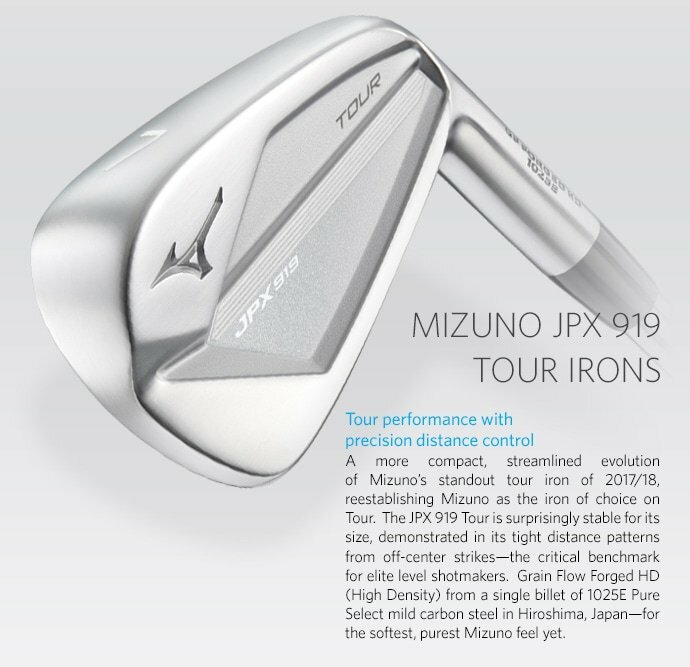 Mizuno have moved the weight further back in the head and used modern lofts on the JPX 919 irons to provide a higher ball flight that will land softer and allow you to attack pins with precision. The JPX 919 has been fitted with the premium Dynamic Gold 105 as standard. The shaft profile of the Dynamic Gold 105 is lightweight with tour level performance with its mid-spin, mid-launch characteristics. The ultimate blend of ball speed, stability and feedback within a more refined playing profile.